SWAPA member & USNA alumnus. I am committed to adding the most value by leveraging my unique systems, knowledge, skill, experience, & attitude to achieve your real estate goals. My entire life, I have had a passion for real estate and helping people. I grew up in Lewiston, a small town outside of Niagara Falls, New York. Over the past 18 years, I have invested in Florida, Texas, and Nevada real estate. I am a graduate of the United States Naval Academy and was a pilot in the United States Navy for nine years active duty followed by eleven years as a reservist. After a lifetime of desire, in 2016 I earned my Nevada Real Estate Division Salesperson license. I am a REALTOR® member of GLVAR, NVR, & NAR. I hang my license with Signature Real Estate Group in Summerlin. Connections are critical in the real estate business, maximizing opportunities for my buyers and maximizing exposure for my sellers. 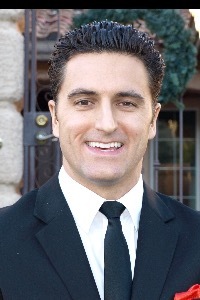 I am connected to 375+ Signature real estate agents based in Las Vegas via my Broker's private Facebook page. I have approximately 5,000 followers on LinkedIn. I am a pilot for Southwest Airlines, connecting me to approximately 13,000 pilots via a private social media site. I'm proud of my ties to my Las Vegas community, volunteering my time to organizations such as Giving Grizzlies Mentorship Club, St. Jude Children's Research Hospital, school book drives, food drives, and Special Olympics. My wife and I enjoy buying, renovating, and selling homes in the Las Vegas valley, but my true motivator is helping my clients achieve their real estate dreams. I am the proud husband to Amy and father of two amazing young women. Contact me for a FREE, no obligation market analysis of the neighborhood you want to buy or sell in. Let's discuss your real estate goals, my systems, and see if we are a good fit.